Dental technology plays a vital role in providing patients with the best possible care. We utilize some of the best dental technology available to serve our patients in the Grapevine area, from Colleyville to Southlake. CEREC | With CEREC technology, we can create beautiful, porcelain crowns in just one visit! While patients without access to CEREC technology have to have temporary crowns placed in between appointments, our patients at Mason Cosmetic & Family Dental don’t have to wait. With CEREC, our patients require less appointments for crowns and other appliances. They can come into our office and leave the same day with a beautiful, perfect, porcelain crown. Digital X-rays | Digital x-rays allow us to detect abnormalities or problems before they’re visible to the human eye. 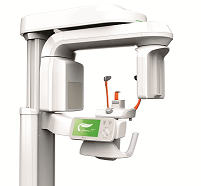 At our office, we have invested in the NOMAD® Dental Digital X-Ray System to provide clear results and more precise diagnoses. The NOMAD system is portable and contains intraoral cameras. It emits very little radiation and is completely safe. Intraoral Cameras | At our office, we use intraoral cameras that allow us to look very closely at your teeth and to take exceptionally high quality photos to aid in diagnosis, treatment, and communication. Our intraoral cameras allow us to see things more clearly and to be even more precise in our assessments. Odyssey Laser | Our Odyssey laser aides us in many of our procedures and replaces the dental drill with a more stress-free and comfortable alternative. Procedures performed with our laser are more precise and heal faster. To find out more about the dental technology our office utilizes to provide top quality dental care, call us at our office in Grapevine.